Search again Found 44 results for your search. Showing page 1 of 3. The Richmond Hill battle is considered to be the first recorded battle between Aboriginal people defending their country against the British. After being shot seriously twice, and surviving both times, Pemulwuy is considered unable to be killed by bullets. 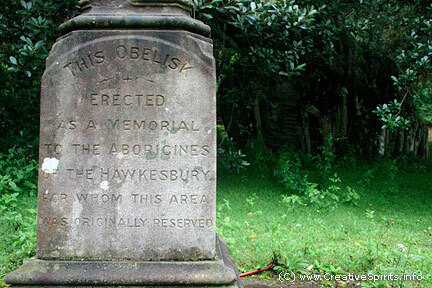 Beginning of a six-year period of resistance to white settlement by Aboriginal people in the Hawkesbury and Parramatta areas. Known as the ‘Black Wars’. Governor King orders Aboriginal people gathering around Parramatta, Georges River and Prospect Hill “to be driven back from the settler’s habitation by firing at them”. Pemulwuy is shot by two settlers. Tedbury continues the resistance. Tasmania is occupied by white people. The Black Wars of Tasmania last until 1830 and claim the lives of 600 Aboriginal people and more than 200 white settlers. William Moree, a lieutenant of the New South Wales Rum Corps, orders to open fire at Risdon Cove, Tasmania, on a group of about 300 Aboriginal people who are probably hunting kangaroos. Between 30 and 60 Aboriginal people are killed. The Lieutenant tries to cover-up the incident, claiming only 3 had been shot . Hostilities increase - the slaughter of Aboriginal people in Australia has begun. Settlers are authorised to shoot unarmed Aboriginal people . Attacks on farms by Aboriginal people on the edge of Sydney. Macquarie sends a punitive party to arrest ‘offenders’. They attack a camp near Appin at night and 14 Aboriginal people are killed including Carnabyagal. Windradyne leads Wiradjuri resistance that will last for two years along the Murray River. In Tasmania, Governor Arthur also proclaims martial law, in effect, a declaration of war. Soldiers have the right to arrest or shoot any Aboriginal person found in the settled district. Martial law is proclaimed in the Bathurst area when seven Europeans are killed by Aboriginal people led by Aboriginal man Windradyne, and conflict with them is seen as a serious threat. Soldiers, mounted police, settlers and stockmen frequently attack Aboriginal people. As many as 100 are killed in a massacre at Bathurst. Martial law stops in December. This conflict became known as the “Bathurst War”. Port Phillip District Wars rage in Victoria (then administered by New South Wales and known as Port Phillip district) from 1830 to 1850. The Indigenous Koorie population resists the large influx of immigrants and settlers who bring large herds of sheep and cattle into the state. Yagan leads Nyoongar resistance in Western Australia for three years. Yagan is killed. His head is cut off and pickled. It is then sent to England as a museum curiosity.